The Florida Gators have taken a big step toward solving the frontcourt dilemma the program was expected to face in 2014-15 by adding redshirt sophomore forward Alex Murphy as a transfer starting in the spring 2014 semester. Murphy officially announced his decision on Wednesday. “I really appreciate the experience at Duke, playing for a Hall of Fame coach in Mike Krzyzewski,” Murphy told ESPN.com. “I learned a lot as a player and a person. As a midseason transfer, Murphy will still have to sit out an entire year under NCAA rules, missing this spring and next fall. He will be a redshirt junior with two years of eligibility remaining when he takes the court for the Gators in the spring of 2015 unless he received a waiver. The brother of former Florida F Erik Murphy, Alex reclassified and joined Duke ahead of the 2011-12 season (in what otherwise would have been his senior year of high school) but took a redshirt during his first year of college. He barely played last season, averaging 2.1 points and 1.0 rebounds in 6.2 minutes per game and is seeing the same amount of action in 2013-14. Murphy will play a much bigger role for Florida, which is losing at least three members of its frontcourt to graduation in seniors center Patric Young and forwards Casey Prather and Will Yeguete. The Gators are expected to be without redshirt junior C Damontre Harris, who is currently on the roster but not considered a member of the program, and freshman F Chris Walker, who is projected as a potential lottery selection and may declare for the 2014 NBA Draft at season’s end. Should none of those five players be on the roster next year, redshirt sophomore F Dorian Finney-Smith and five-star incoming freshman Devin Robinson (Christchurch, VA) would be the tallest players on the team at 6-foot-8. For that reason, the Gators are considering adding a second transfer for next season. Murphy (6-foot-9, 230-pounds) was a four-star prospect and the No. 45 overall recruit in the Class of 2011, according to Rivals.com, when he chose Duke over Florida. His decision to transfer to UF may also help the Gators in the long term. 2017 prospect Tomas Murphy, the younger brother of Erik and Alex, is expected to be even better than his siblings and a five-star prospect by the time he is officially rated. Erik Murphy told OnlyGators.com last spring that Tomas Murphy is fond of both Duke and Florida, for obvious reasons. 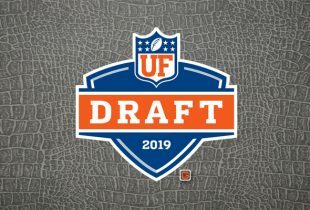 But with both of his brothers now having played for the Gators, it would only make sense if he began holding one of those two programs in higher esteem – specifically the one located in Gainesville, FL. Everyone welcome my brother @AlexMurphy5 to #GatorNation …beyond excited to see him in the orange and blue! I mean… the guy is 6’8″. Let’s just pray Billy somehow talks Chris Walker into staying a second year. Don’t get me wrong, more bodies is great! But this is not the answer for our lack of a post presence next year. He’ll be as much of a help as his brother was. Florida survived. Has to rebound and defend. I’m loving it! He has a great looking stroke from long range like his older bro! Their dad taught them well. Billy’s the man with these transfers (with Harris being the exception)! Are there any bigs who might switch to Florida if we have a really good year? Not incoming freshmen but Florida hopes to add another transfer. Any true Centers or big PFs available that would be able to play immediately? Not off the top of my head. But I’m sure Florida knows of who is in what position. At the end of last season I heard rumors that he was going to transfer. Anyone know why he waited until now to move on? Hopefully this puts us in a good position for the 3rd Murphy. Go Gators!